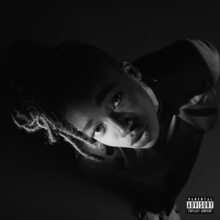 Grey Area (stylised as GREY Area) is the third studio album by English rapper Little Simz, released on 1 March 2019 through Age 101 Music. "Offence" was released as a single on 17 September 2018. "Boss" was released as a single on 23 September 2018. "101 FM" was released as a single on 4 December 2018. "Selfish" was released on 16 January 2019 along with the announcement of Grey Area. At Metacritic, which assigns a normalised rating out of 100 to reviews from mainstream publications, the album received an average score of 89, based on 12 reviews. Kyann-Sian Williams of NME praised the album, giving it a perfect score and saying, "Across these 10 tracks, Simz utilises her most valuable commodity: honesty. Having stripped away the narrative cloak that shrouded the highlights of 'Stillness In Wonderland', she's crafted a knockout record – and finally come true on her early promise. This is the best rap record of the year so far." William Rosebury of The Line of Best Fit said, "It's brave but vulnerable, energetic but reflective and youthful but wise. If you listen to any Little Simz track, you'll know instantly she's a great MC, but with this project she has stepped beyond that to become a uniquely gifted artist. An incredible album." ^ Murray, Robin (17 September 2018). "Little Simz Blasts Back With 'Offence'". Clash. Retrieved 3 March 2019. ^ Ch, Devin (23 September 2018). "Little Simz Appoints Herself The "Boss" Of All Bosses". HotNewHipHop. Retrieved 3 March 2019. ^ "Little Simz returns with new track '101FM'". DIY. 4 December 2018. Retrieved 3 March 2019. ^ Blais-Billie, Braudie (16 January 2019). "Little Simz Announces New Album GREY Area, Shares New Song: Listen". Pitchfork. Retrieved 3 March 2019. ^ "Grey Area by Little Simz reviews". AnyDecentMusic?. Retrieved 4 March 2019. ^ a b "Grey Area by Little Simz Reviews and Tracks". Metacritic. Retrieved 8 March 2019. ^ Yeboah-Mensah, Kofi (4 March 2019). "Little Simz – Grey Area". Clash. Retrieved 4 March 2019. ^ Taylor, Chris (1 March 2019). "Little Simz – Grey Area". DIY. Retrieved 14 April 2019. ^ Lowers, Erin (21 March 2019). "Little Simz: GREY Area". Exclaim!. Retrieved 14 April 2019. ^ Joshi, Tara (1 March 2019). "Little Simz: Grey Area review – call to arms as rapper finds her feet". The Guardian. Retrieved 3 March 2019. ^ O'Connor, Roisin (28 February 2019). "Little Simz, Grey Area album review: Rapper is light years ahead on new record with her dextrous flow and superb wordplay". The Independent. Retrieved 3 March 2019. ^ a b Williams, Kyann-Sian (25 February 2019). "Little Simz – 'Grey Area' review". NME. Retrieved 3 March 2019. ^ Hutchinson, Kate (23 February 2019). "Little Simz: Grey Area review – rap maverick finally finds her groove". The Observer. Retrieved 3 March 2019. ^ Pearce, Sheldon (7 March 2019). "Little Simz: GREY Area Album Review". Pitchfork. Retrieved 7 March 2019. ^ Aroesti, Rachel (April 2019). "The Perfect Blend". Q. No. 396. p. 115. ^ Rosebury, William (25 February 2019). "Little Simz is heading for well-deserved superstardom". The Line of Best Fit. Retrieved 3 March 2019. ^ "Official Scottish Albums Chart Top 100". Official Charts Company. Retrieved 9 March 2019. ^ "Official Albums Chart Top 100". Official Charts Company. Retrieved 9 March 2019.